We pursue the development of professional potential in everything we do. Our aim is increase the impact of people who use their talent for the benefit of business and society. We support an innovative community of Start ups and Lead Design Thinkers who share their expertise and knowledge in our training program, to foster new leaders or new ideas. Designforum is a case-based academy for entrepreneurs and intrapreneurs focussing on the development of new leaders and / or new concepts. We promote high connectivity and succesful cooperation in order to apply the full force of people’s talent, creativity and ideas to personal, social and economic challenges. 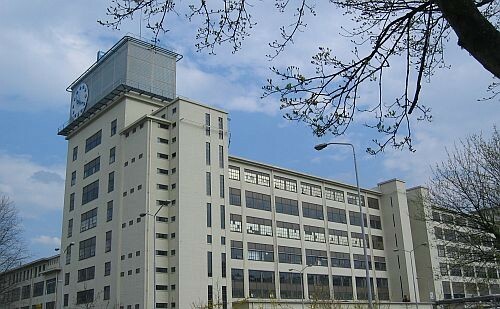 Designforum is based in Eindhoven, the heart of a world-class innovation region that specializes in design & technology. Here we think of solutions for the societal challenges of tomorrow. The ecosystem for start-up businesses in the Brainport Region is well-organized and promotes open innovation. As a result, ideas are transformed into solutions faster and introduced to the market more successfully. Our facility at Strijp-S, an industrial area where the creative industry flourishes, is the ideal place for developing your future.